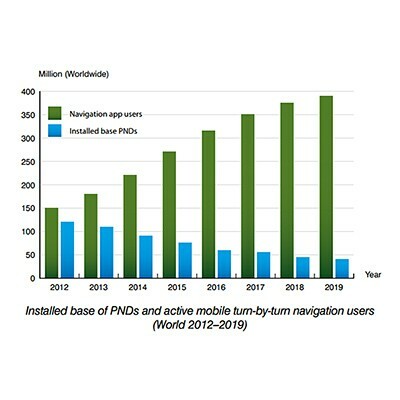 According to a new research report from the analyst firm Berg Insight, global shipments of Personal Navigation Devices (PNDs) declined from 28 million units in 2012 to 22 million units in 2013. There are signs that the decline is slowing and some emerging markets still experience growth. However, on the whole, the PND market is set for a continued downturn on a global basis. 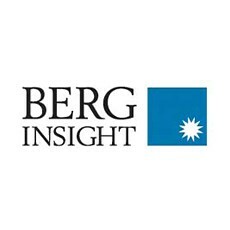 Berg Insight forecasts that PND shipments will decline to only 10 million units worldwide in 2019. A number of developments are affecting the PND market. Retailers have reduced shelf space and marketing for PNDs in favour of other consumer electronics products. Competition from other navigation solutions, especially navigation apps, is also intensifying. Over time, PNDs will also face further competition from in-dash navigation systems as more car brands launch low cost systems. Moreover, the installed base of PNDs is already high and replacement cycles are likely to be prolonged since PNDs have matured considerably and many devices are now sold with lifetime map updates, giving users less reason to replace their existing devices as frequently. Higher smartphone adoption along with broader availability of low cost and free navigation apps are important factors for the continued increase in usage of mobile navigation services worldwide. He adds that in most markets, smartphones from major vendors now come bundled with free navigation apps. The leading navigation service providers on a global basis include Google, Apple, Telenav, Appello Systems, Nokia and Garmin. Examples of major local players include AutoNavi and Careland in China, SK Planet in South Korea, NAVITIME and ZENRIN in Japan, as well as Navitel and Yandex in Russia. 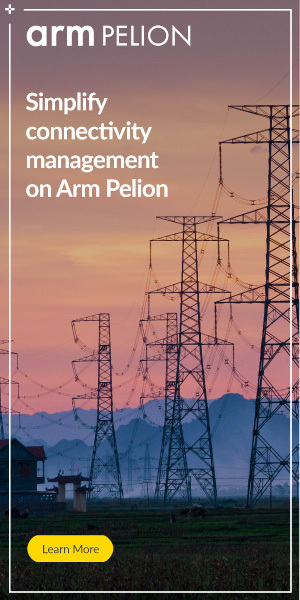 Despite increasing competition from free navigation apps, many mobile operators are still marketing their own navigation services developed by companies such as Telenav, TeleCommunication Systems and Appello Systems. “App developers and operators are now trying to monetise navigation apps by introducing premium features and advertising. Developers are also forced to reduce costs as competition increases, for instance by adopting OpenStreetMap data to reduce map licensing fees”, concludes Mr Malm.